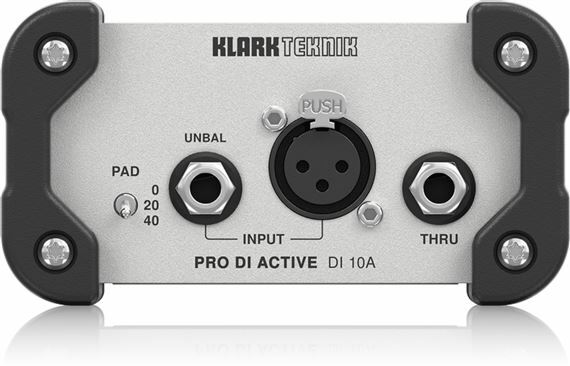 Order your Klark Teknik DI 10A Pro Active DI Box With MIDAS Transformer from AMS and enjoy Fast & Free Shipping. Get the Best Deal with our Lowest Price Guarantee & Great Customer Service! KLARK TEKNIK is legendary for developing the highest-quality direct injection devices. 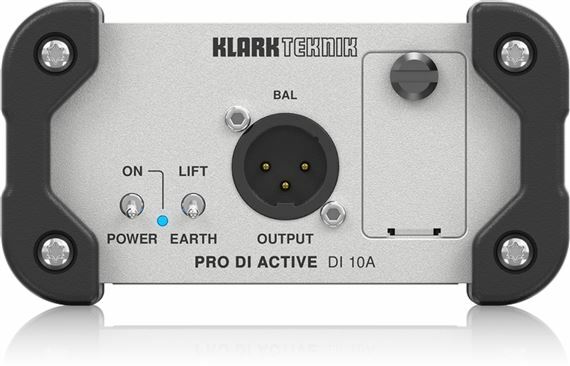 The DI 10A PRO DI ACTIVE offers the same high headroom, dynamic response and sonic clarity you have come to expect. DI 10A is ideal for interfacing keyboards, samplers and other electronic musical instruments to mixing consoles, and faithfully reproduces the character of electric and acoustic instruments, allowing far more of the detail of musical performances to be captured. The DI 10A is powered by +48 V phantom power with a 9 V battery backup, which automatically allows the device to function should phantom power fail, or be unavailable. Equipped with a switchable input attenuator, DI 10A easily accommodates instruments, line, and even loudspeaker level signals – and thanks to its extremely low noise input circuit topology (-112 dBu), DI 10A provides extended dynamic range, making it the perfect choice for professional audio and multimedia applications. The ultra-compact DI 10A is built to handle the rigours of life on the road via a thick and rugged aluminium extrusion that protects the electronics. The enclosure’s roadworthiness is further enhanced through the implementation of sturdy rubber corner bumpers. A custom instrumentation-grade input circuit was designed for the DI 10A using advanced analogue design techniques to create the very high input impedance required by passive guitar and bass pickups, whilst keeping the actual component values low to minimise noise. This innovative approach to circuit design produces a very low noise floor, which combined with the high clipping point creates an unrivalled dynamic range in a +48 V phantom powered DI Box. 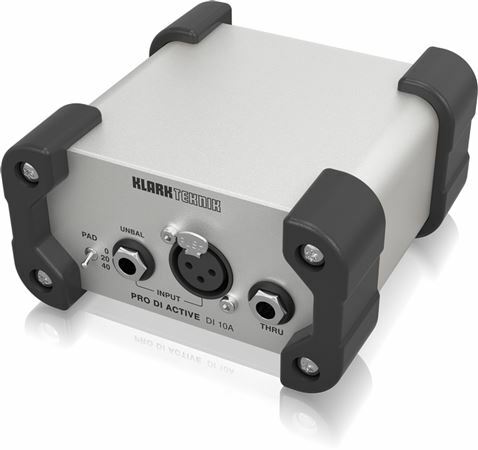 DI 10A PRO DI ACTIVE features genuine high quality Neutrik XLR and high impedance 1/4" TS connectors to maintain the highest signal integrity. The Input connectors accept balanced and unbalanced signals over TRS, TS or XLR cables with plugs, with the Thru jack passing an unbalanced 1/4" TS signal to local amps/monitors. 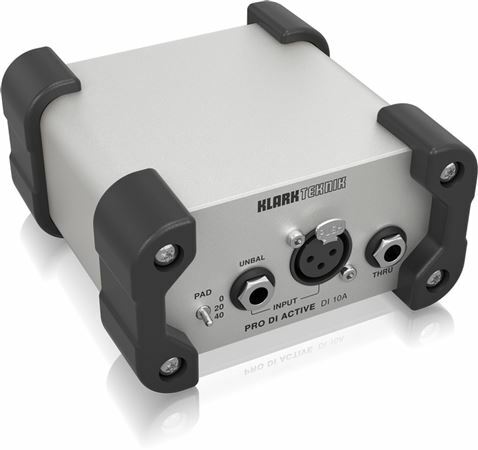 The Output XLR jack sends a balanced version of the Input signal to your mixing board or other processing device.